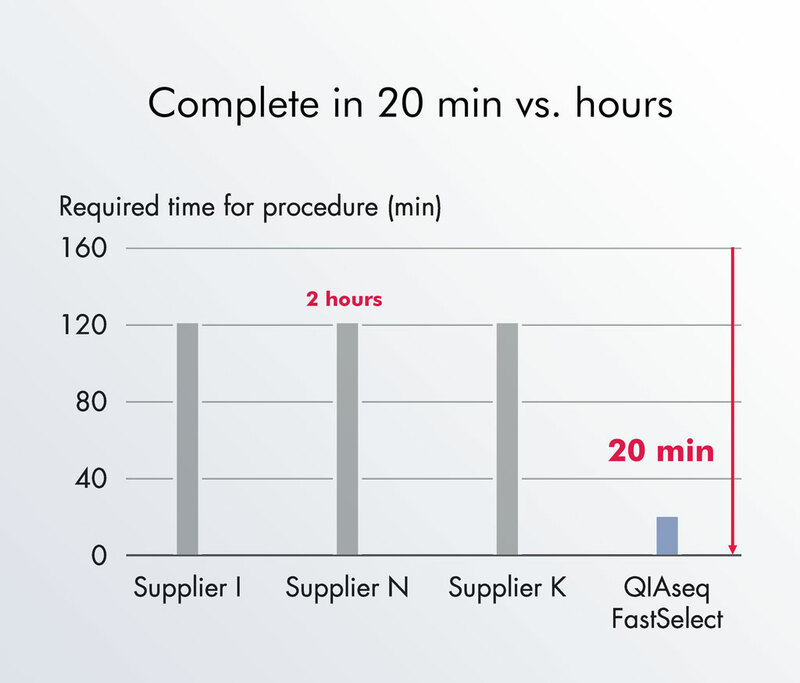 New QIAseq FastSelect RNA Removal Kits are the latest revolution rocking the world of RNA-seq, providing the fastest ever removal of unwanted RNA from your libraries! Why spend hours removing ribosomal RNA (rRNA) and globin mRNA from your RNA-seq library when you can achieve it in just 20 minutes using a single pipetting step during library prep – and with only 10 seconds of hands-on time! Even if you’re working with fragmented RNA samples, our radically simplified workflow delivers exceptional quality and performance compared to traditional techniques such as magnetic bead hybridization and capture or enzymatic methods. This means you can speed up RNA-seq experiments and significantly reduce read allocation to unwanted RNAs – while attaining reproducible RNA sequencing results. Like the sound of that? Then get in touch to find out how QIAseq FastSelect can fast-track your research! What is your sample type? I permit QIAGEN to use my personal information for internal business and marketing purposes.